This insightful documentary explores the history and development of Richard Linklater as the groundbreaking filmmaker that he has become. The film fully encapsulates Linklater’s love of story-telling through film. 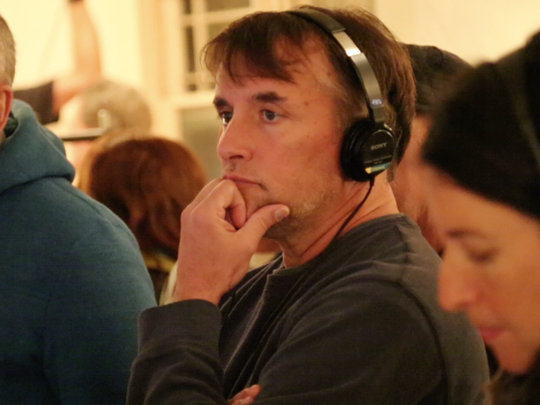 As an audience, we are given a detailed look at why and how Linklater made the projects that he made. This man from Huntsville, Texas had no idea that he was going to put passion into projects that would move so many. I loved the way that this documentary was shot. Many old videos spanning decades displayed Linklater collaborating with his team, growing up, and directing actors on set. We also saw old interviews that communicated the time of his life and what he felt about what was going on. In some segments, Linklater converses with a former actor in one of his films while they go through his old notes, scripts, and diaries. This peephole into the formation of such a game-changing director was so interesting to see. Friends and former workmates share that Ric made a new world with each of his films to make sense of his own. This love and tool of film was so nice to be mentioned again. We can see that through his projects he learns and enjoys the process. The film makes it superbly clear that Ric didn’t at all care what Hollywood thought of him. His first film that had reaching reviews was filmed in Austin of all places. As he says to the camera, he didn’t want to be caught in the studio business. I think that this way of starting is so refreshing to me as I saw that through hard work and collaboration, Linklater achieved his dream of filmmaking.